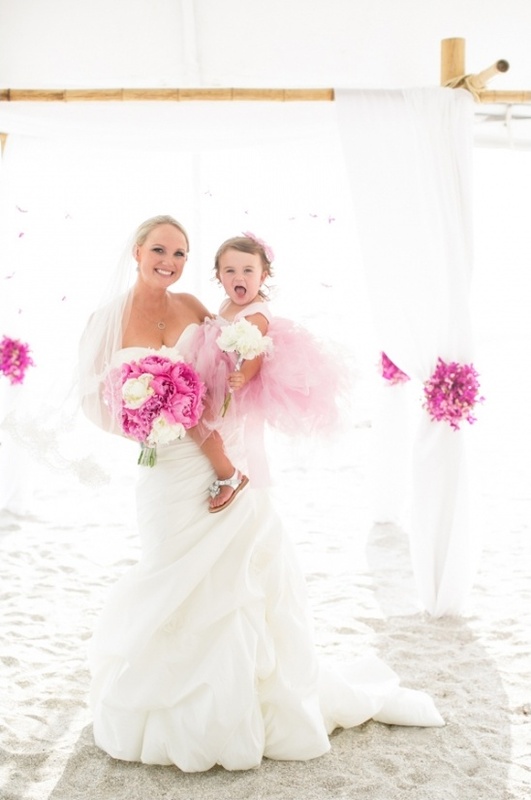 Cool beach breezes and sandy summer memories of Liz and Mike tying the knot were made and captured at The Ritz-Carlton, Sarasota. 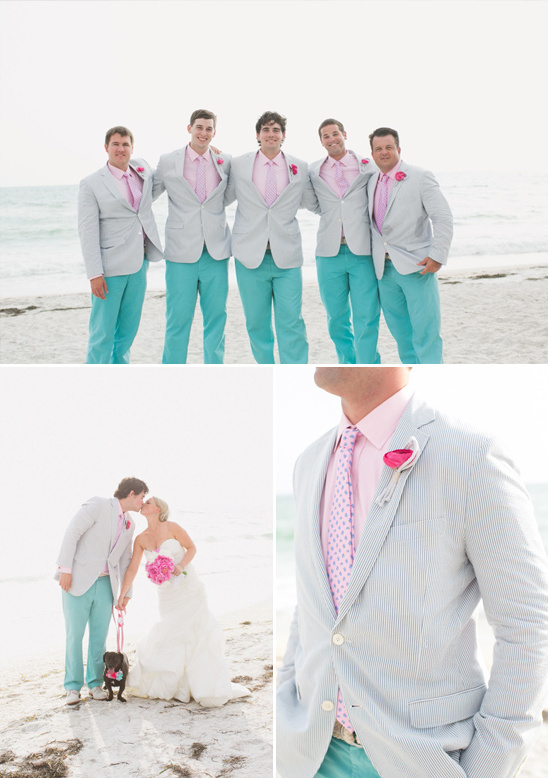 With a color palette of bright pink and turquoise blue, this coastal wedding reflected all the great things summer has to offer. 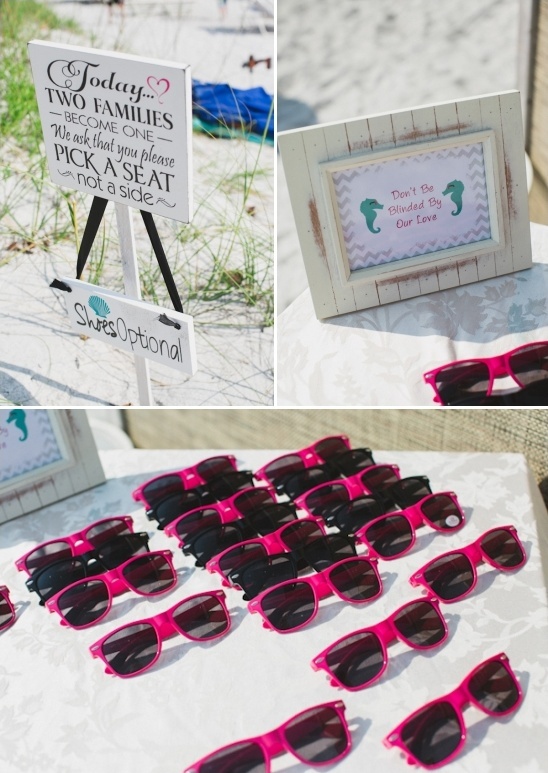 This laid back beach ceremony kept the atmosphere young and fun with cute details, like pink and black sunglasses for guests and oodles of tasty treats at the candy bar. 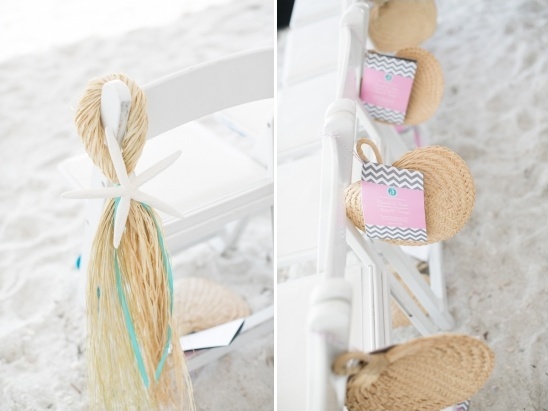 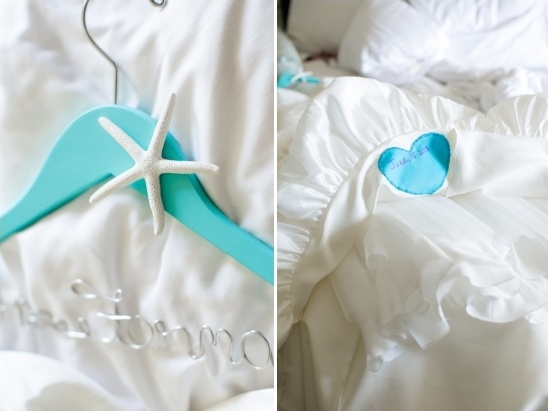 Don't miss any of the fabulous details Adair Currie of Dairing Events created for this breezy beach wedding in turquoise and pink by visiting the full gallery here, all fabulously captured by Alex Michele Photography. 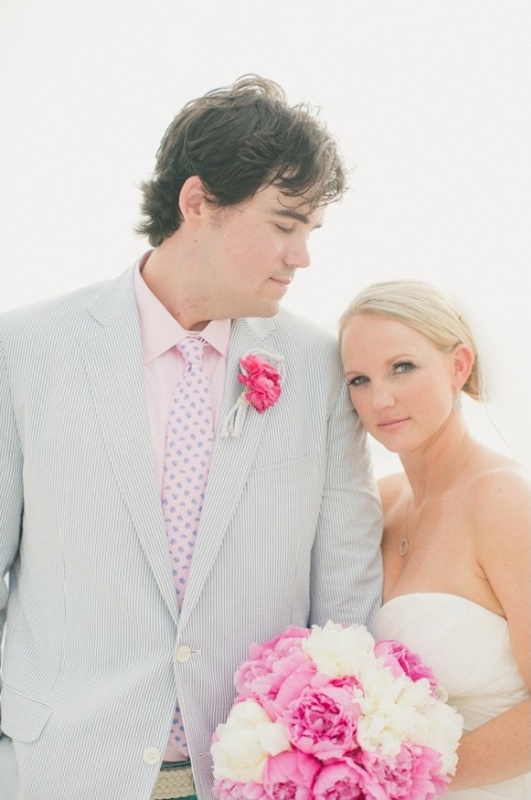 Liz's classically stunning strapless wedding dress from Love Bridal Boutique was elegantly subtle allowing her bridal beauty to shine through out her special day. 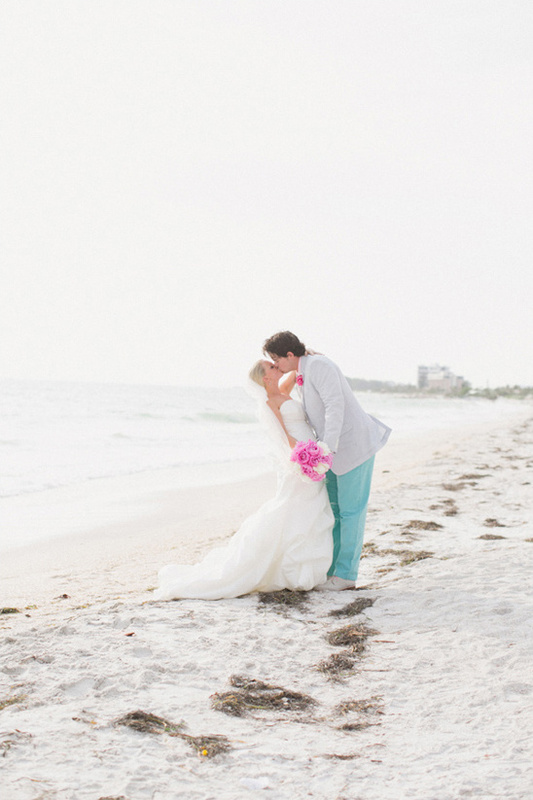 From the Bride:I have always dreamed of having a beach wedding, growing up in Florida and on the water every weekend with my family it just made sense. 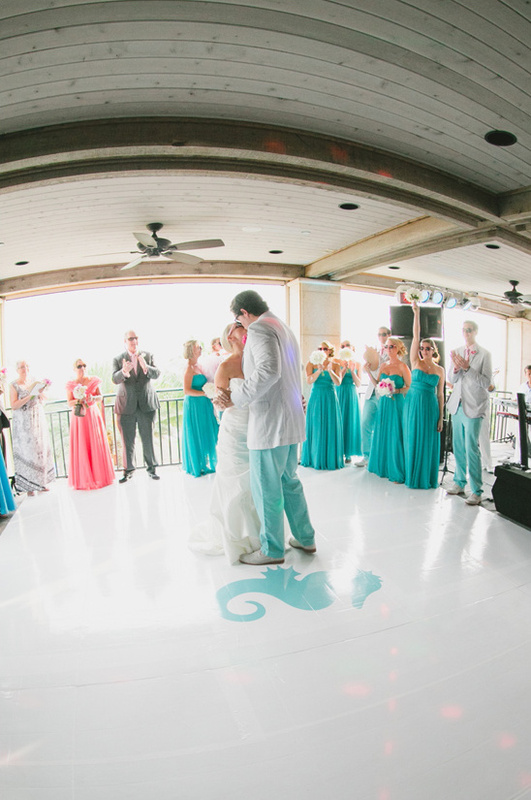 I searched for about a little over a year for the perfect destination; once I found the location the wedding date was set. 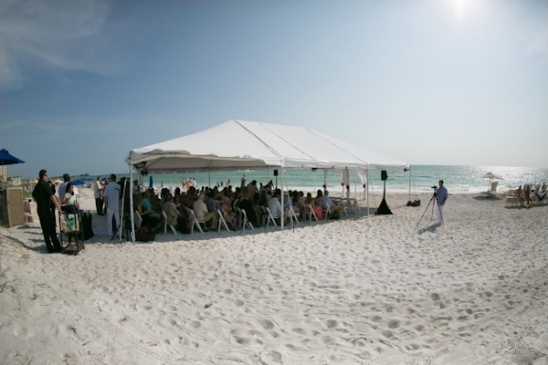 Marrying Mike on the beach was perfect, both of us grew up on the water and it really encompassed who we are as a couple. 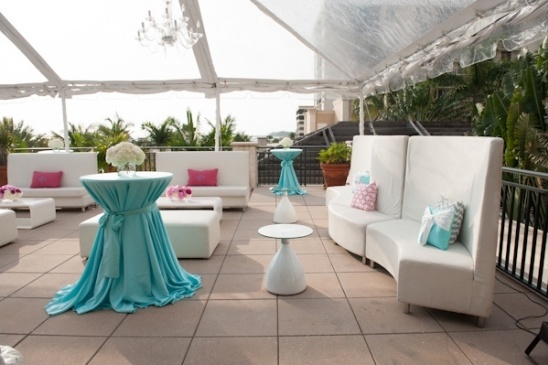 The Ritz-Carlton, Sarasota was an amazing venue; from the staff to the location everything was perfect. 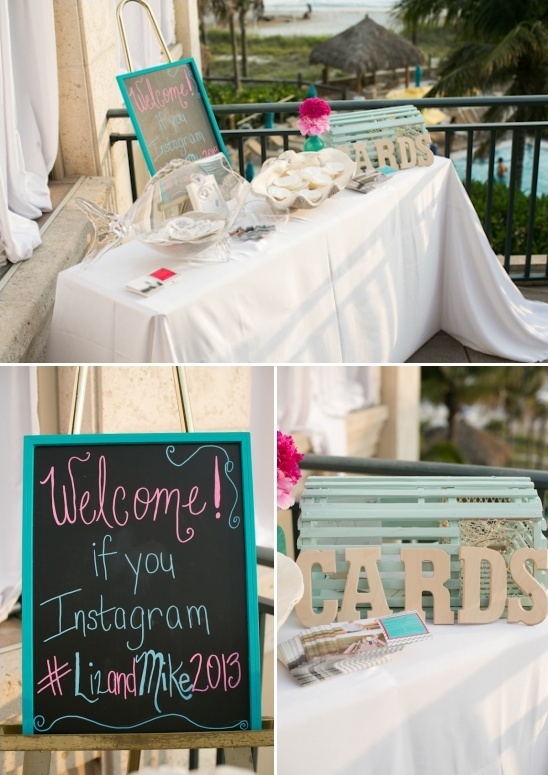 I love planning events and this was one that was very personal so I put my heart and soul into the details. 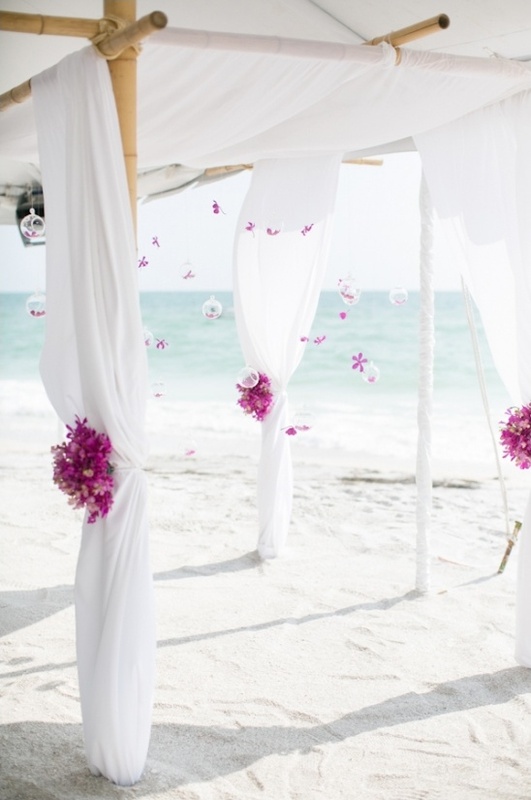 Thanks to my job and boss I am all about the details now and I really believe that it had a lot to do with how everything came together so perfectly.Adair Currie of Dairing Events helped turn the breezy beach wedding of Liz's dreams into reality with colorful floral arrangements and crisp linens giving the whole event a modern, streamlined atmosphere. 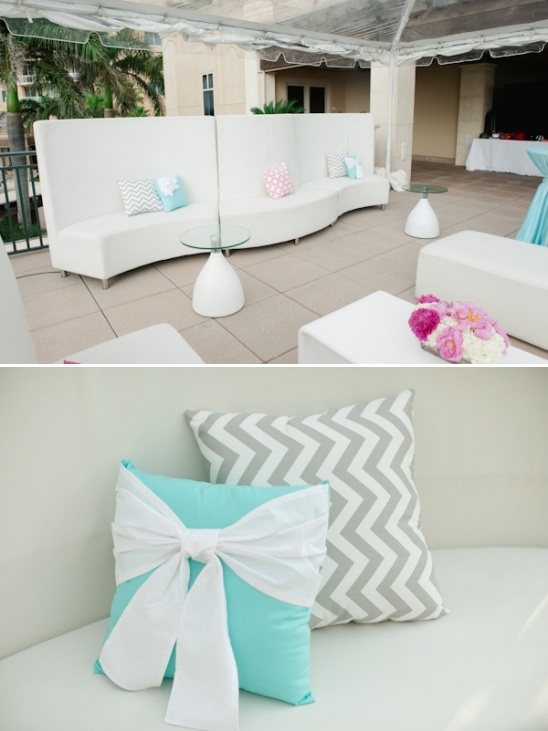 Be sure to take a look at our favorite detail — the gray and white chevron pillows! 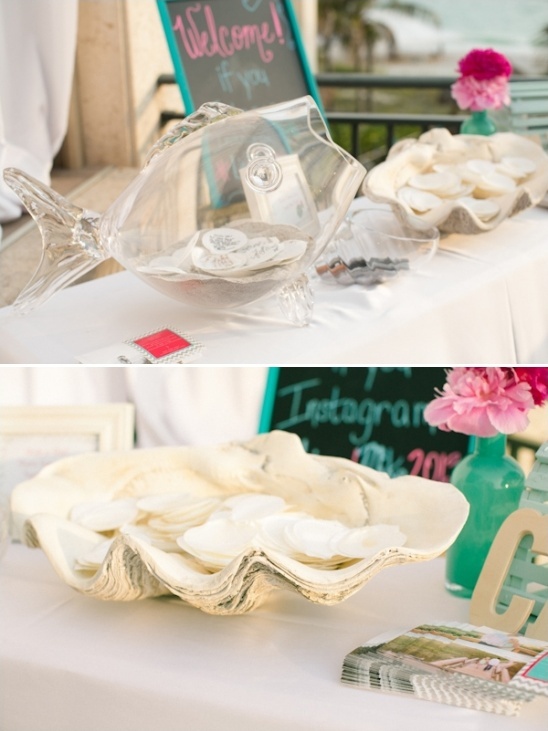 From the Bride:I spent many nights on the internet picking and choosing the right little details for every last table. 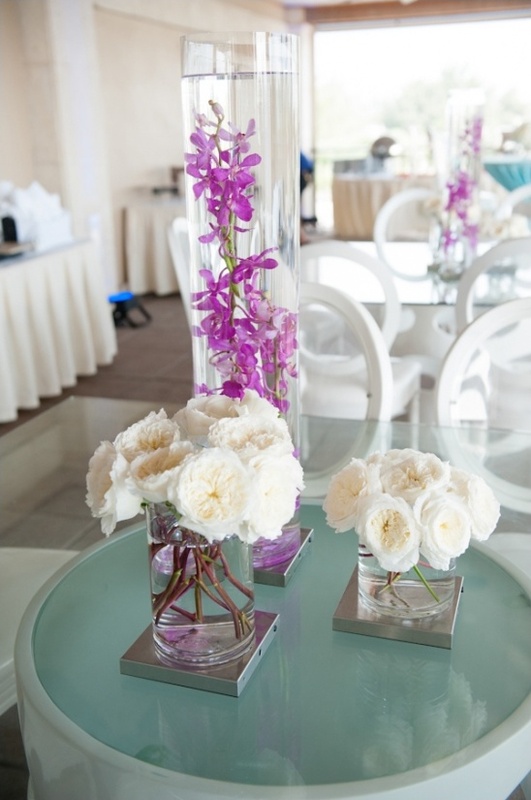 My dad and husband loved to mess with me about how many hours it took to plan a 6-hour party; I believe every single hour was worth the planning.The little details are what Elegant Designs specialize in when it comes to wedding and special event floral displays. 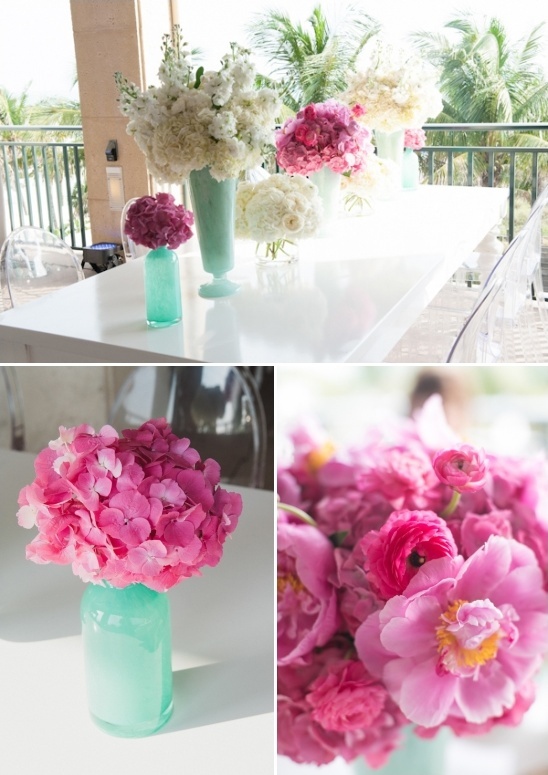 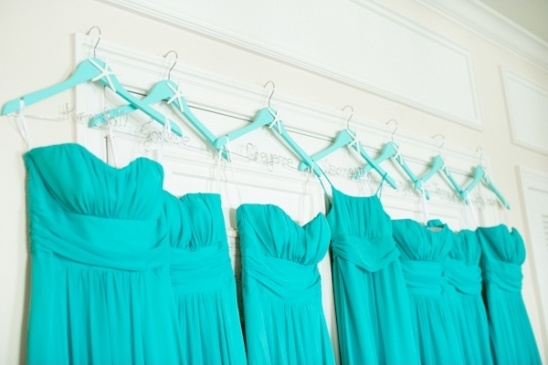 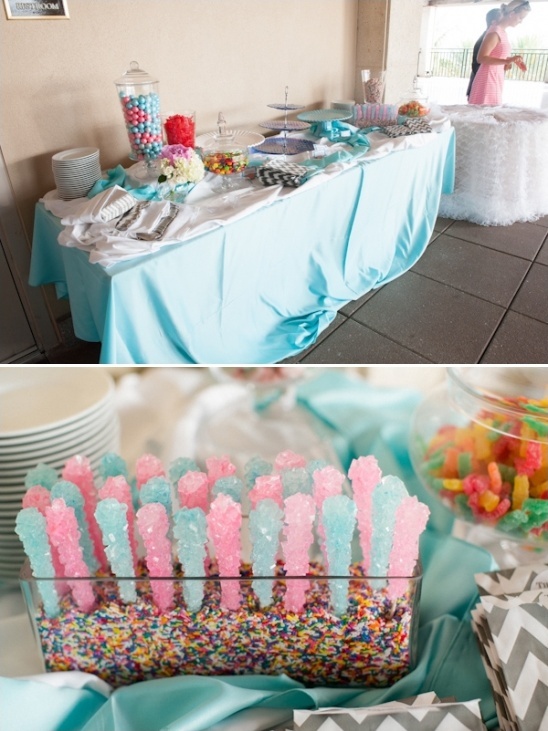 They helped Liz bring in all the pretty pops of pink and tranquil turquoises that brought the beach into the reception. 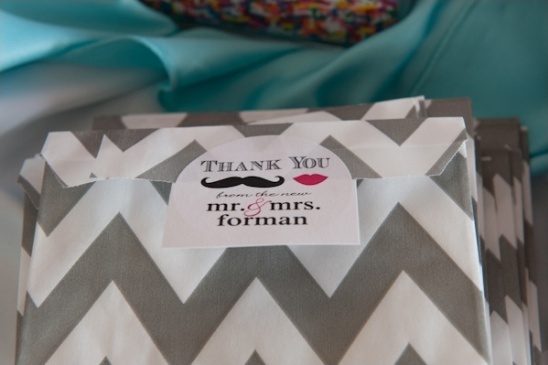 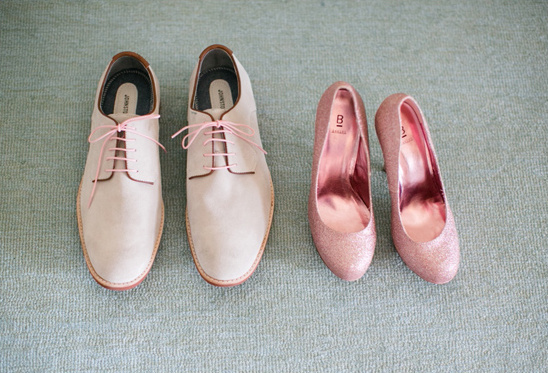 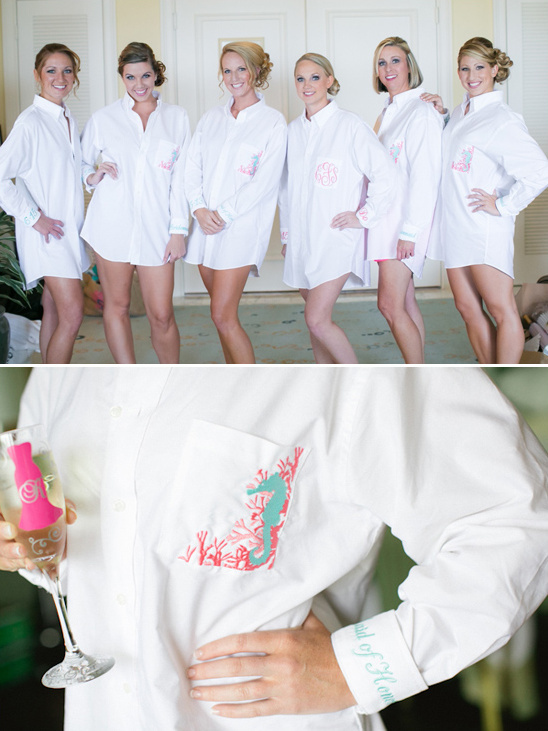 From the Bride:The only thing I would have changed was to make the party last longer. 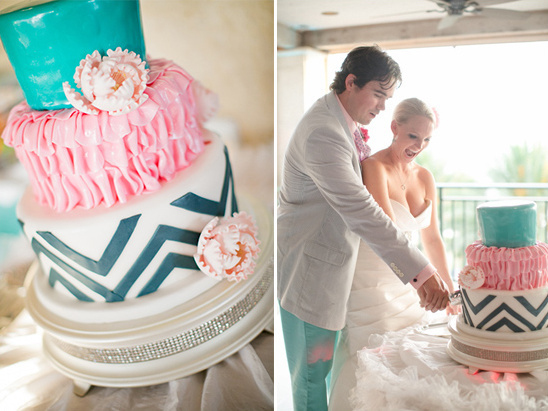 It goes by so quickly and I wish it could have lasted for at least a couple more hours.